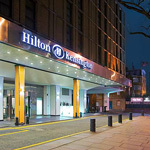 STM E-Production 2011 held at Hilton London Kensington Hotel, London, UK. Q & A - What is new in Online Hosting? Q & A – What is new in Online Hosting?